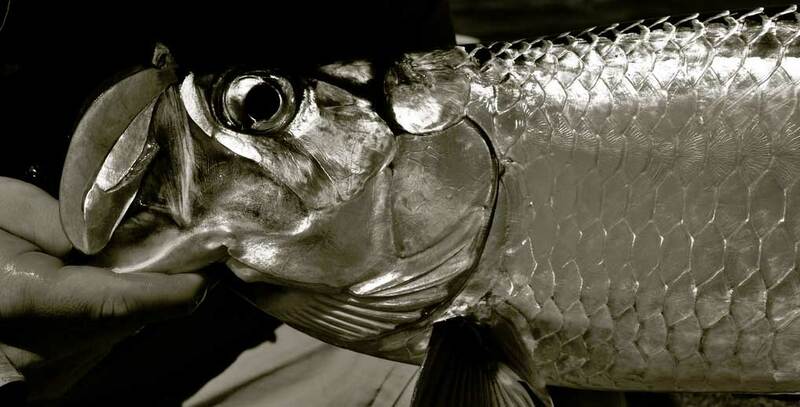 As a former Key West guide and someone who fly fished for tarpon in every month of the year, I’m often surprised at the number of people who think that the only time to travel to the Florida Keys for tarpon is May and June. The reputation those months have is no doubt a carryover from the 70s and 80s, when there were relatively few anglers and lots of migrating tarpon. The game, as you probably know, has changed. 1. Choosing a guide is more important than choosing a season. The difference between the top Keys guides and the average guide is tremendous. The best guides are wonderful people to spend time on the water with, they have a large repertoire of spots to fish–which becomes very important when the weather or fish behavior becomes unpredictable, and they know their business, from knots to hooks to flies to placing the boat just right for your cast. They’ll know whether it is smarter to spend your day chasing tarpon, or whether permit or other species present the best opportunity. Also, fish migration patterns change from year to year depending on conditions and the movement of tarpon prey. January may be calm and warm and provide fantastic fishing for laid-up tarpon, the season might extend far into July, and there may even be good fall tarpon fishing. The only thing you can be certain of is that every year is different. So fish with a guide who comes highly recommended rather than trying to find any guide who is available during “peak season.” (They’re probably already booked anyway.) You’re better off fishing with a great guide in bad weather than a lousy guide on a perfect day–it’s that kind of game.